Although many are familiar with acupuncture, not as many know about cupping. At his natural health practice in Poway, CA, Dr. Bret Mosher offers this extremely effective therapeutic technique. 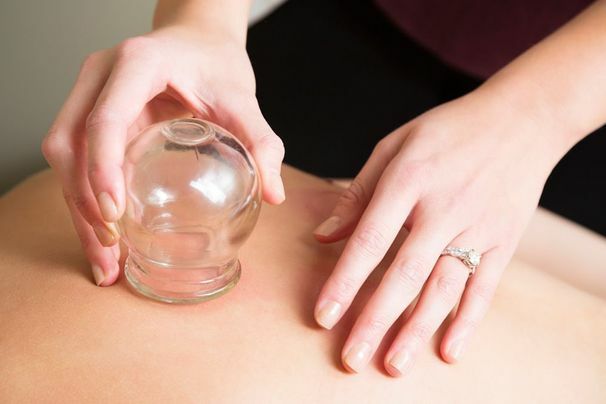 One of the oldest healing modalities in traditional Chinese medicine, cupping uses small glass cups or bamboo jars to deliver suction to targeted areas of the skin. The process creates negative pressure (the opposite of massage) as the skin is gently lifted away from the body. Like massage, cupping can be used to relieve back and neck pain, stiff muscles, anxiety, and fatigue. It can also be used to effectively treat respiratory and gastrointestinal conditions, as well as other ailments. Similar to acupuncture, the treatment follows the body’s natural meridian lines to improve the flow of qi, or life energy. Cupping relieves stress and other ailments using negative pressure. Cupping is typically combined with acupuncture in one session, but it can also be used alone. Most acupuncturists use glass cups because they can see the skin and evaluate the effects of the treatment. The glass cups will be warmed by burning something inside, such as a cotton ball soaked with alcohol. They are then placed upside-down on the skin, and the vacuum created by the lack of oxygen adheres the cup and lightly draws the skin upward. The cups are either moved across the skin in a continuous motion (gliding cupping) or left in place and lifted. The preferred sites of treatment are the back or stomach, and sometimes the arms and legs. With gliding cupping, some practitioners will apply medicinal oils to the skin prior to placing the cups, which allows them to move the cups along the specific meridians or acupoints. According to the condition being treated, the cups will remain on the skin for about 10 minutes. As a natural healing modality, cupping can provide relief for a variety of conditions without the use of drugs or surgery. There are a number of different ways that cupping is thought to work. The process of lifting the skin opens the pores, stimulates blood and lymphatic flow, reduces fluid build-up, and creates a pathway to draw toxins from the body. For muscle problems, cupping is an excellent deep-tissue therapy. Because it is believed to reach tissues up to four inches deep, it can be much more effective than massage. Cupping also helps the body reverse some of the muscle loss and stiffness that comes with age. Research has shown that when the suction is applied to a targeted area, it saturates the tissues with fresh blood and pulls stagnant blood out. New blood vessels are formed in a process called neovascularization, and they have the capacity to feed the tissues with oxygen and nutrients. By following the body’s meridians, a trained acupuncturist can additionally realign the flow of qi by breaking up the obstructions that are causing blockage. When performed by a trained practitioner, cupping is considered very safe. It should not be performed on patients with inflamed skin or those who bleed easily. With gliding cupping, the cups should not be moved across bony areas such as the shoulder blades or ridges of the spine. Complications can include some swelling and bruising. If bruises appear, they are usually painless and will disappear within a few days. The benefits of cupping are many. As a natural healing modality, it can provide relief for a variety of conditions without the use of drugs or surgery. In addition, most patients find that cupping to be a very pleasant experience. As a leader and authority in his field, Dr. Mosher is qualified to provide cupping and other natural healing therapies. If you would like to learn more, please contact us and schedule an appointment.